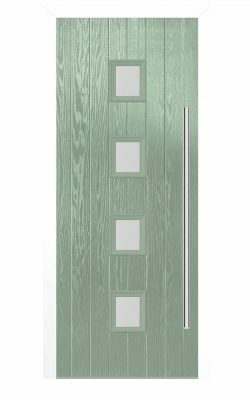 External GRP Door Sets. 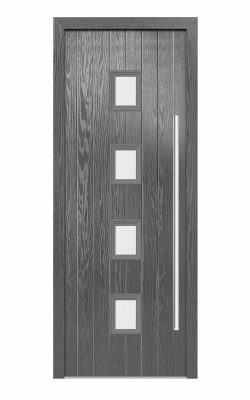 A One-Stop solution for the external doors to your property. Door and frame come as one complete assembly, ready to install. Easy, no-maintenance door for years of hassle-free service. 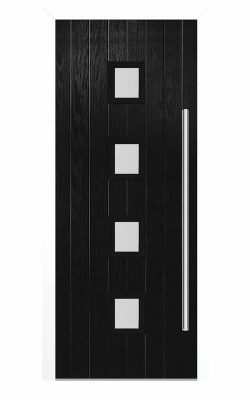 Also with a variety of designs and colours to choose from you will always find a door that suits your property perfectly. Four upright panels in the Victorian style. Satin glazed panels for light and privacy. Eight vertical panels. Central vision panels. A One-Stop solution for the external doors to your property. Door and frame come as one complete assembly, ready to install. Easy, no-maintenance door for years of hassle-free service. Also with a variety of designs and colours to choose from you will always find a door that suits your property perfectly. 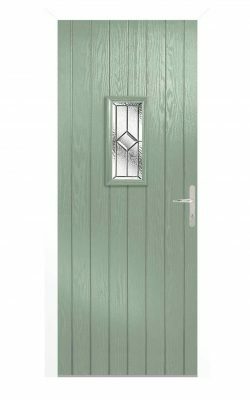 Against traditional timber doors, GRP external doors have a number of great benefits. 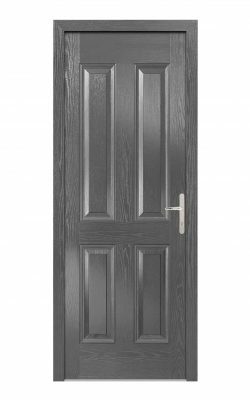 Traditional timber doors will often warp, move and expand and contract in our weather. And external doors are particularly susceptible having one internal warm side and another external cold side. Also, the jointed single members will tend to pull away from each other. Further trying to expand to fill the doorway as tightly as possible. 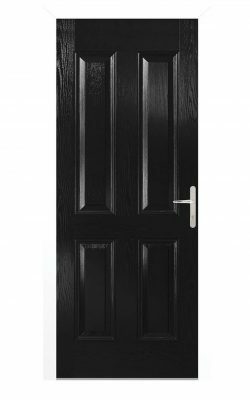 Made from composite materials with a man-made GRP exterior these doors will suffer no warping or shrinkage or de-lamination over time. They require no painting, an easy no-maintenance solution for your external doors. In a variety of colours and designs there is one for every style of property from period to contemporary. Always employ a qualified joiner to install your new door. 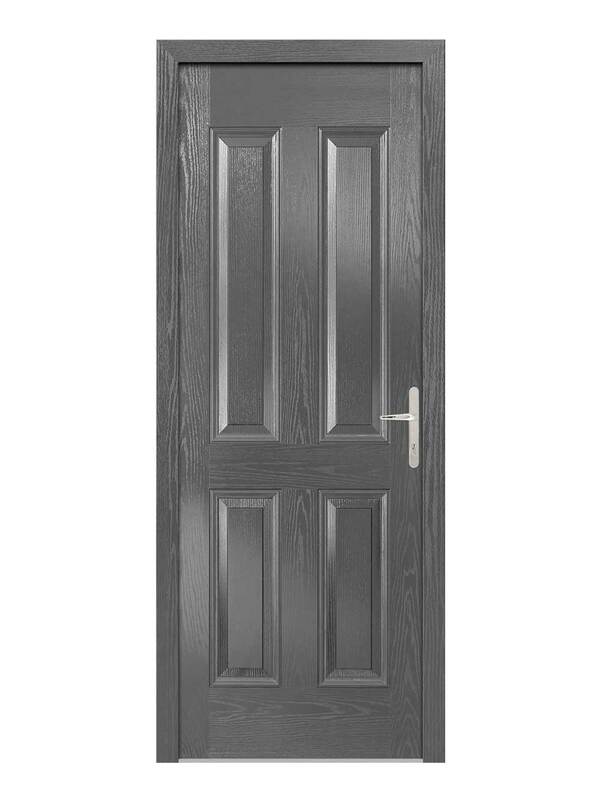 Our external GRP Door Sets come delivered as one complete assembly with door, frame, hinges and threshold all built in. Your external door becomes immediately usable. Safe and secure. Please see our help and advice section for further advice on this important element.